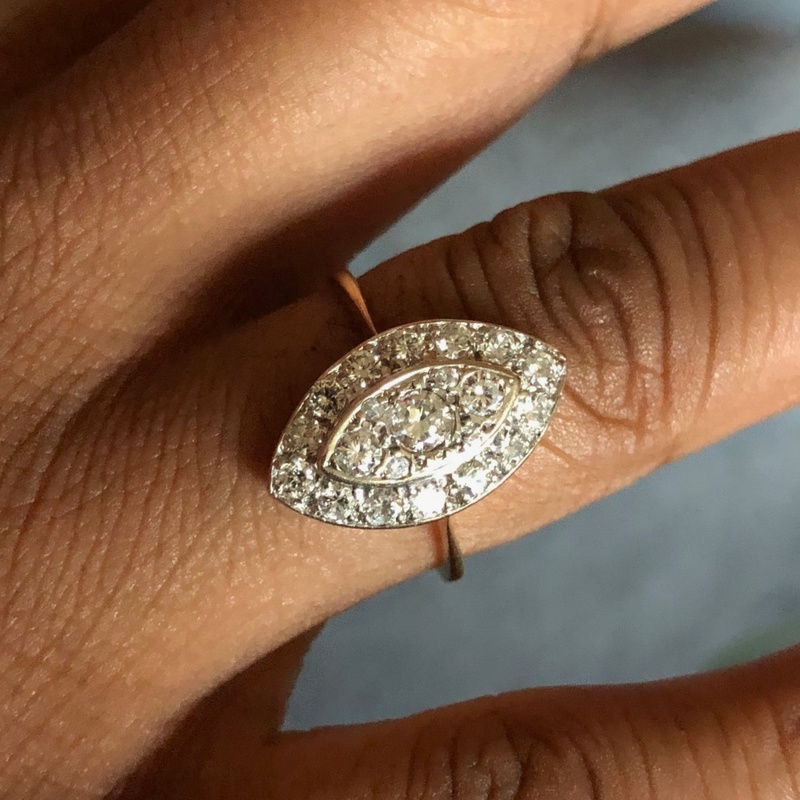 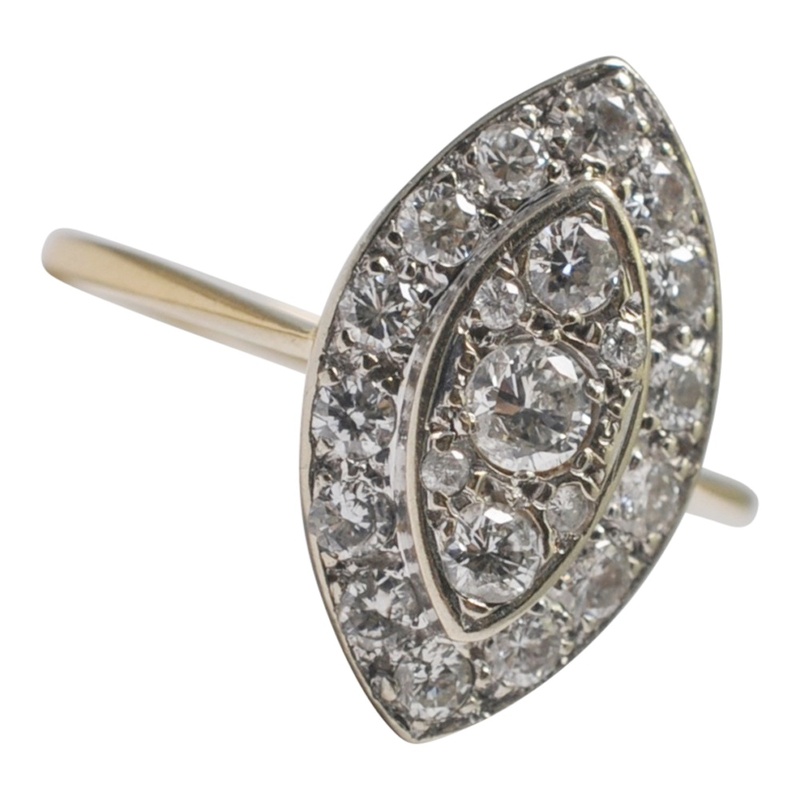 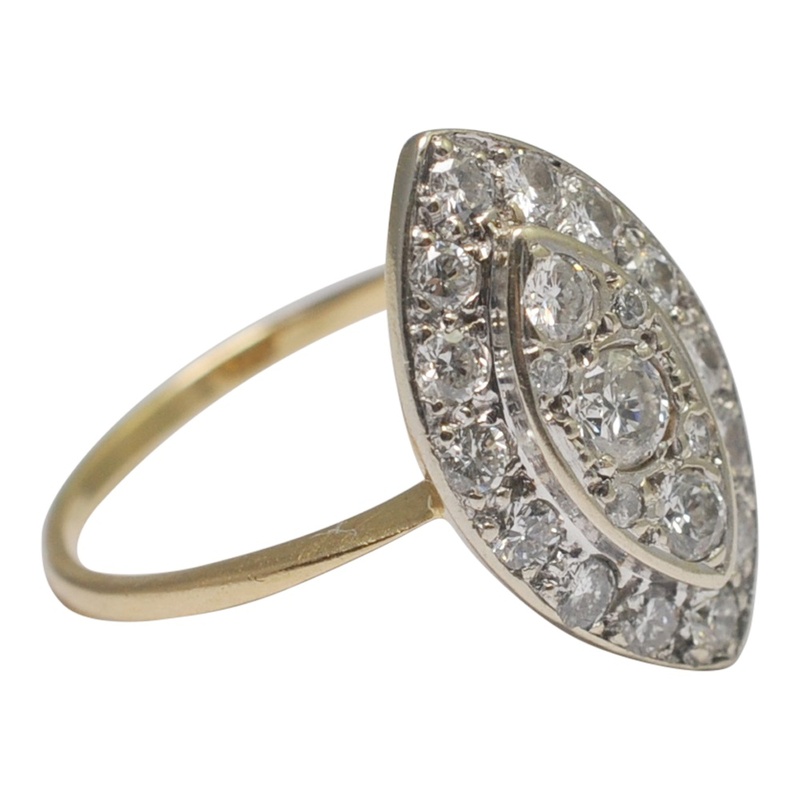 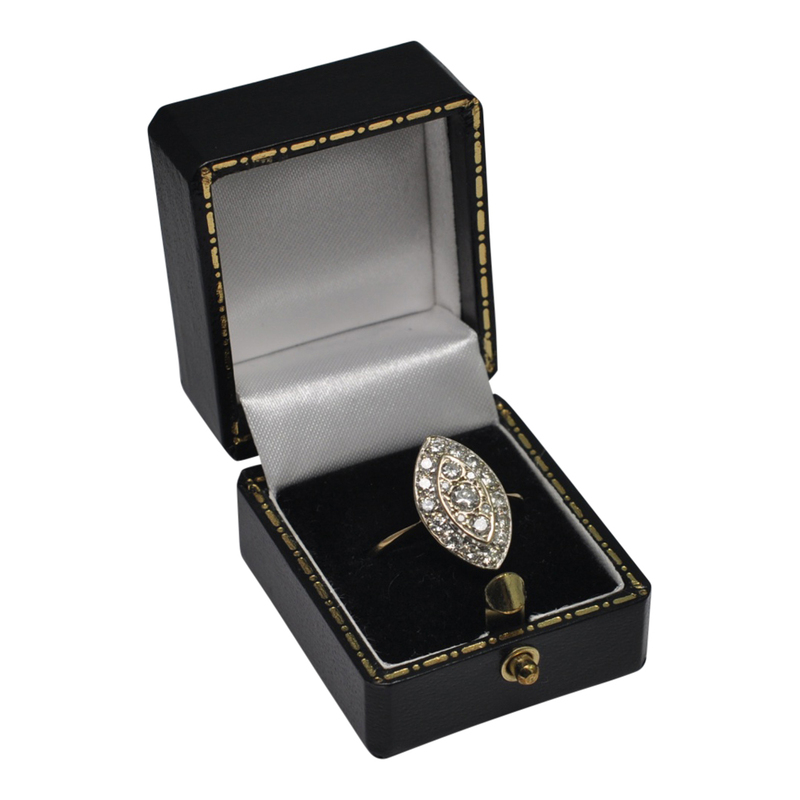 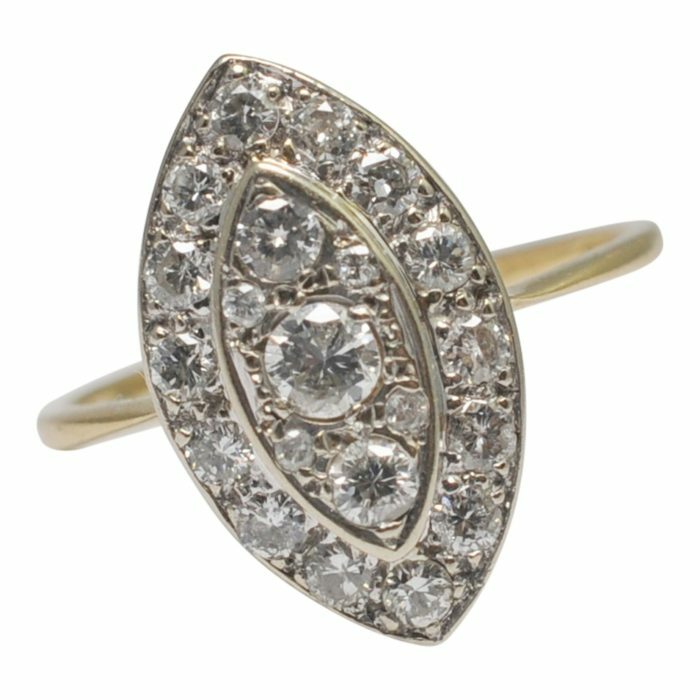 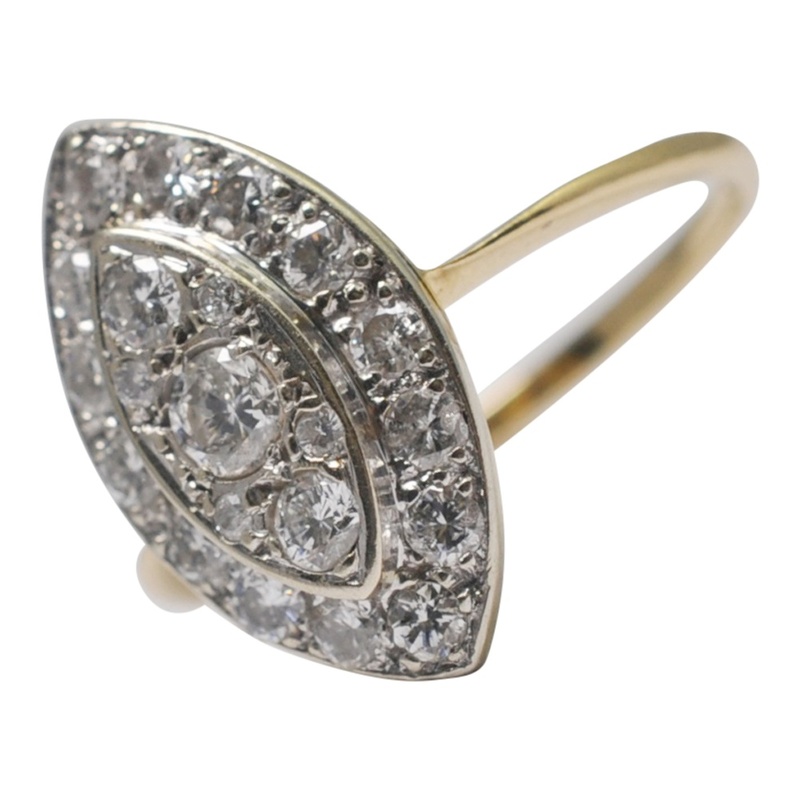 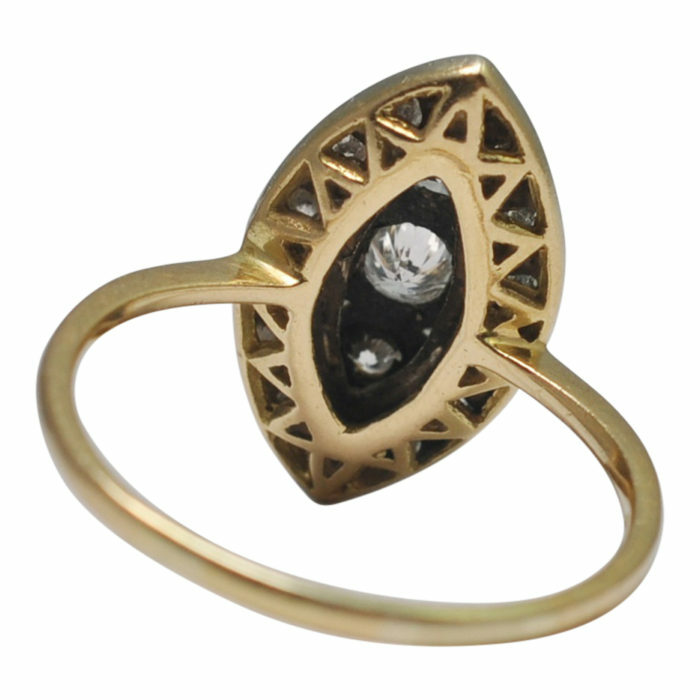 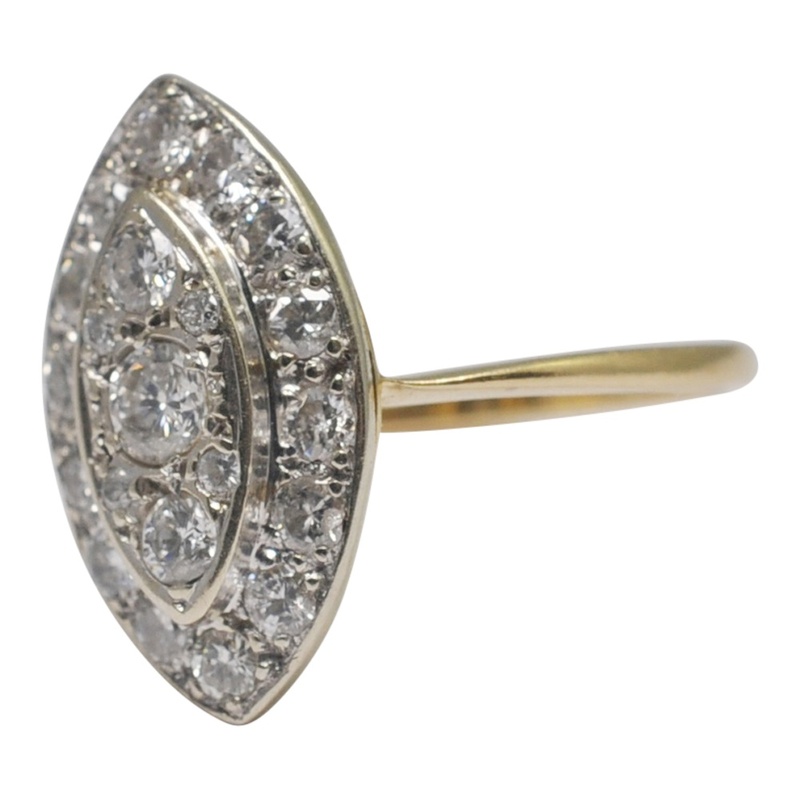 Diamond marquise shaped ring in 18ct gold; the ring is formed of an outer row of brilliant cut diamonds and a raised centre section with three further brilliant cut diamonds forming a total weight of 0.75ct. 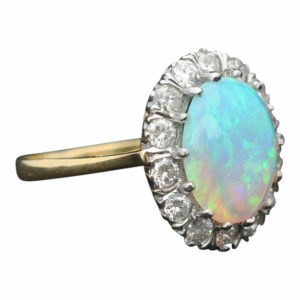 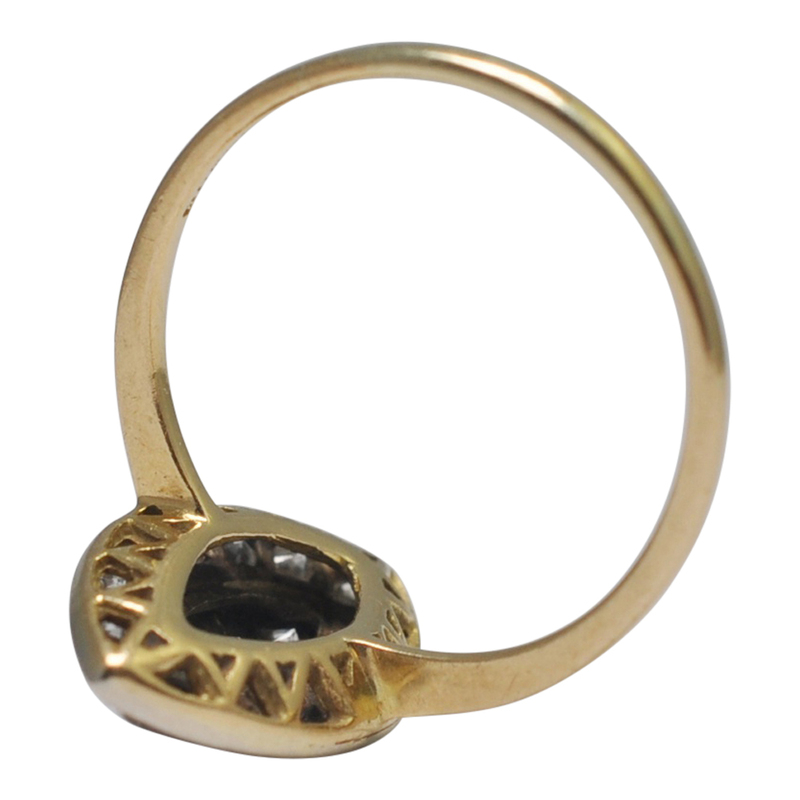 The underside of the mount has beautiful gold work and this ring is in excellent condition and of good craftsmanship. 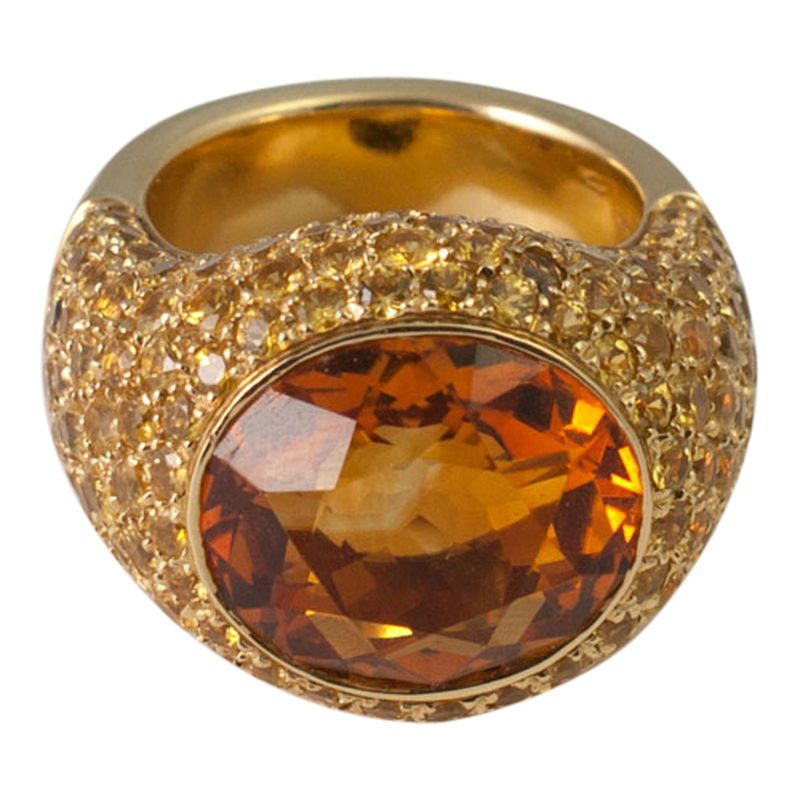 Weight 3.1gms; measurements 1.78cm x 1.1cm x 0.45cm. 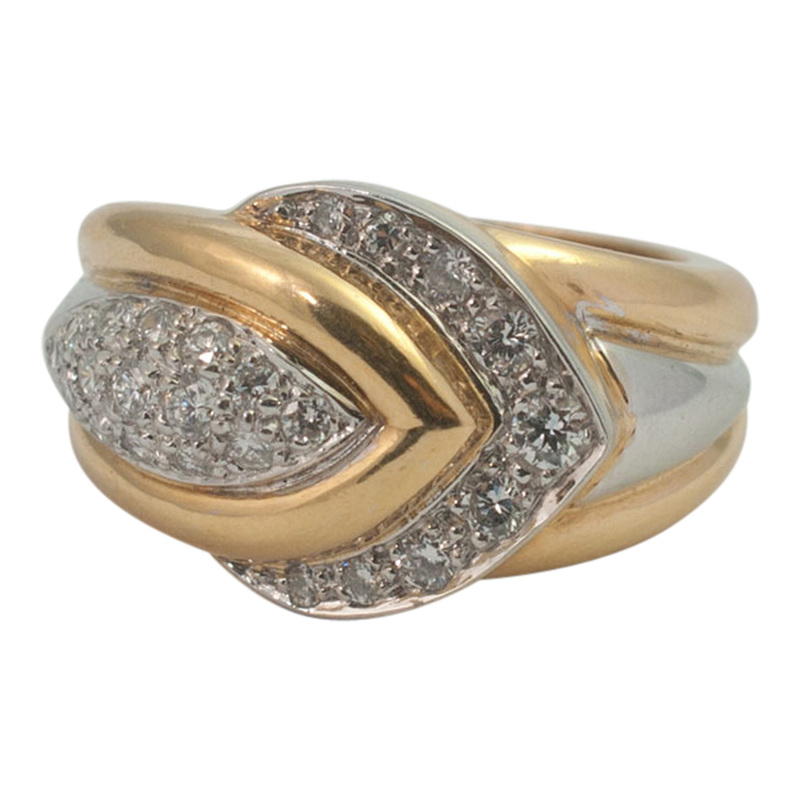 Fully 18ct gold Hallmarked London 1986. 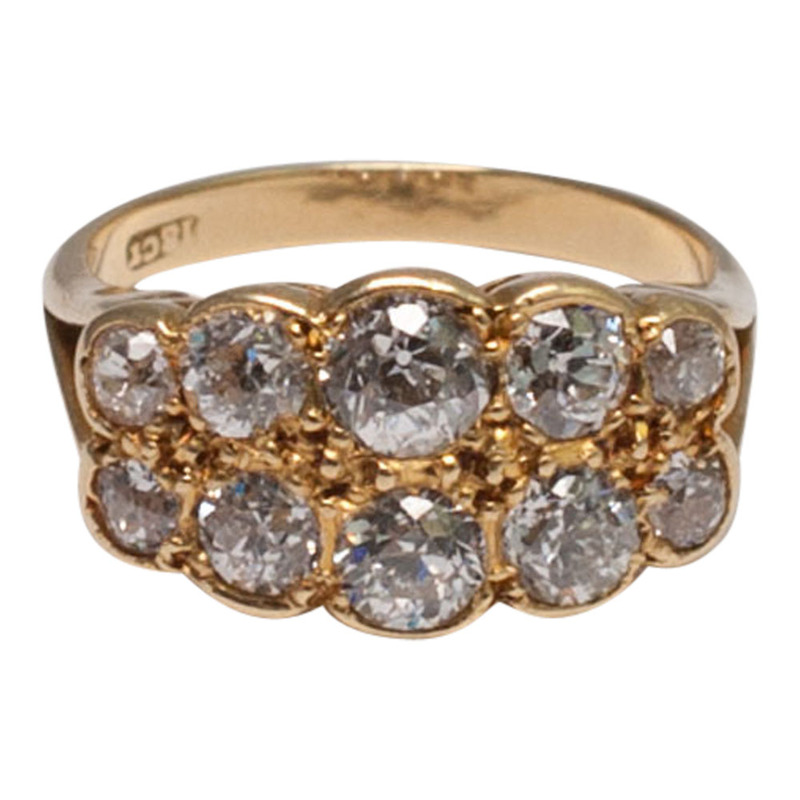 Finger size O (UK), 7.5 (US), 56 (French) which we can re-size for you at no extra cost.